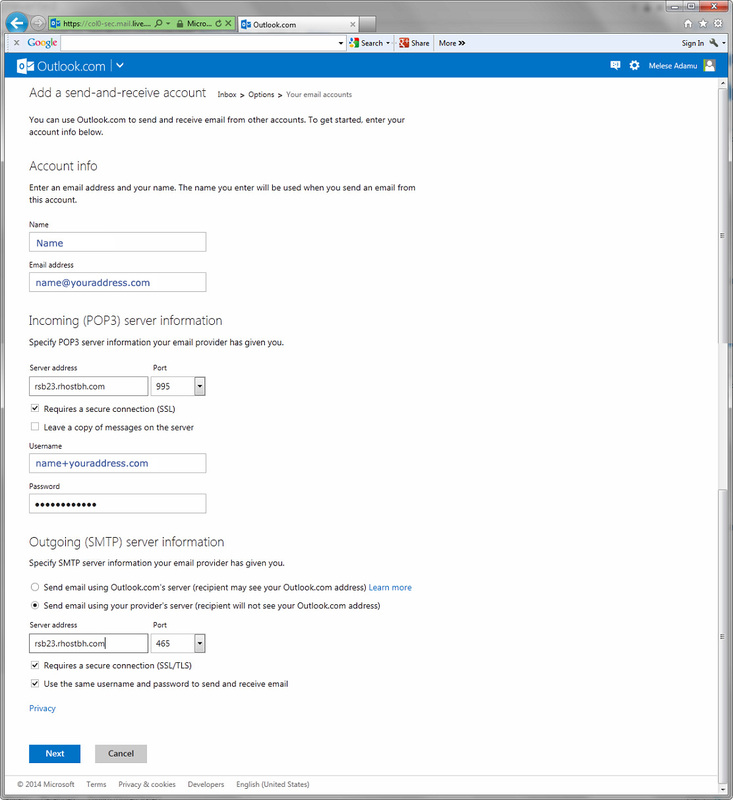 You only need the Mail Server Username, Password, and an Incoming and Outgoing Mail Server address and port to configure an email address. 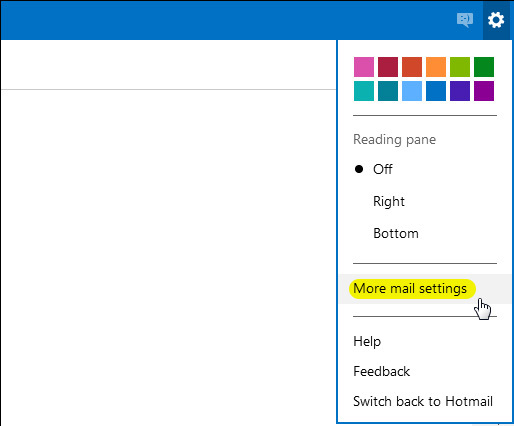 In this example, you have two options for incoming and outgoing mail servers. Plain vanilla which in this case is mail.webaddress.com and SSL (which I’ve highlighted in Red) use these settings if you want the added security of having your email communications encrypted to the mail server. 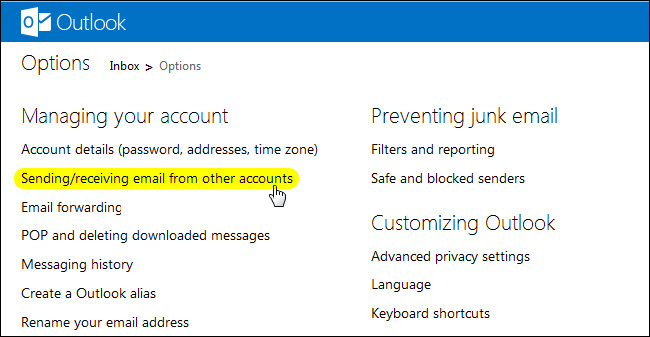 Please note that these settings are for example only yours will certainly be unique to your email address. Step 3) Enter a convenient name for the account, the email address and password. Then and this is really important click the “Advanced options.” Do Not Click The Next Button. I repeat DO NOT CLICK THE NEXT BUTTON. If you do it will try to make your life convenient for you and I know of no better way to make people genuinely miserable than that. Don’t click the Next Button!!! 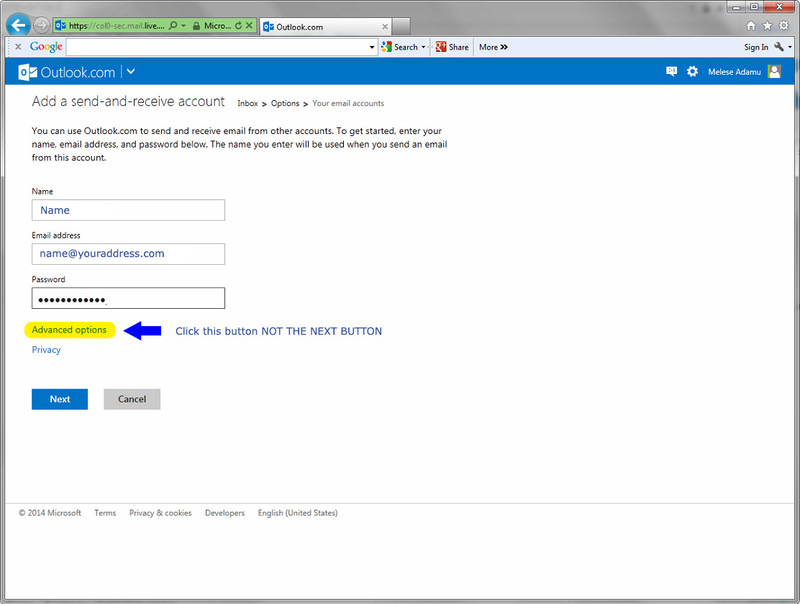 Step 4) Once you click the next button you will be given a page where you can enter your email login and server information. Copy and paste the information provided into the appropriate space. 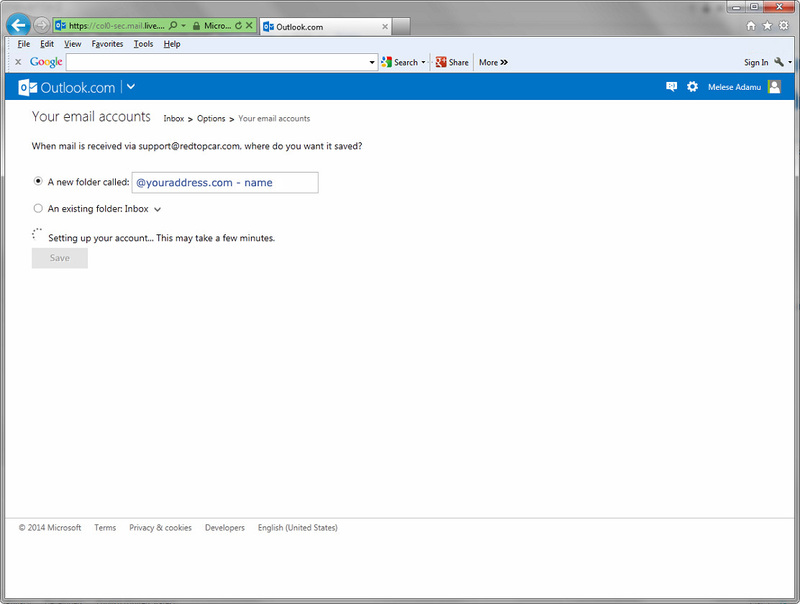 Note do you use your email address for your login they are not “necessarily” the same. Use the port settings I’ve provided unless otherwise specified by your ISP. Be sure to copy all the port settings you see here. Click the next button and you should see something like this. Add a sub folder (or not) and click the button and cross your fingers that your router isn’t blocking any ports.